Rejoice! Time Warner Cable subscribers will soon be able to watch live broadcasts of shows like The Walking Dead, The Daily Show with Jon Stewart, and South Park right on their Xbox 360. On Friday, Microsoft announced what it called a “landmark” deal to bring the TWC TV app to the Xbox 360. TWC TV—which is already available for Android, iOS, the Roku set-top box, and PCs via the Web—will offer Xbox 360 users access to more than 300 live TV channels. To use the app on an Xbox 360 you’ll need to be a TWC subscriber and have an Xbox Live Gold subscription. There’s no official debut date for TWC TV, but Microsoft says the app will launch later this summer. 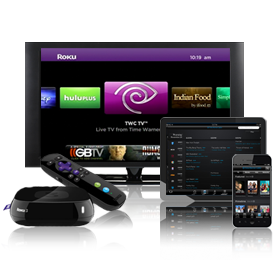 TWC TV is available on several devices. TWC TV is the third application from a major U.S. cable provider to land on the Xbox 360 after Verizon FiOS came to the console in late 2011, followed by Comcast’s XFinity app in early 2012. TWC TV is by far the most expansive of the three services, however. XFinity offers subscribers access to on-demand television, not live broadcasts. Verizon just expanded the number of FiOS channels available on the Xbox 360 to 75 in December—a solid number, but far short of the more than 300 channels slated to land on the TWC TV app. Microsoft’s agreement with TWC will bring a slew of popular channels to the Xbox 360 for Time Warner subscribers including AMC, BBC World News, Bravo, Cartoon Network, CNN, Comedy Central, Food Network, and HGTV. Some Xbox fans are already scoffing at the deal since most gamers are used to quickly switching between their console and TWC set-top box, but using the TWC TV app has a few advantages. TWC TV will be integrated with Kinect, meaning you can use voice commands to control your channel surfing. Depending on how quickly the app boots up, TWC TV may also make it just a little bit easier to shut down Halo 4 in time to catch the latest 30 Minute Meals with Rachel Ray. Xbox: The heart of your home theater setup? Microsoft is pushing hard to turn the Xbox 360, and the upcoming Xbox One, into the preeminent set-top boxes for the living room. The Xbox 360 already has a wide selection of on-demand and live viewing entertainment options such as Amazon Video on Demand, ESPN, HBO Go, Hulu Plus, MLB.tv, NBA Game Time, Netflix, NHL GameCenter, and UFC. Microsoft hopes to take entertainment offerings to the next level with the Xbox One, which will have full cable pass-through functionality. This feature takes data from your cable provider’s set-top box and feeds it to the Xbox One. You can then change channels and see viewing options right on the console. But for that to work seamlessly, Microsoft needs to work closely with cable providers to tailor the Xbox overlay for all the various set-top boxes available across the U.S. The TWC TV app landing on the Xbox 360 suggests Microsoft and TWC may be working together to tailor the cable provider’s services for the next-generation Xbox.